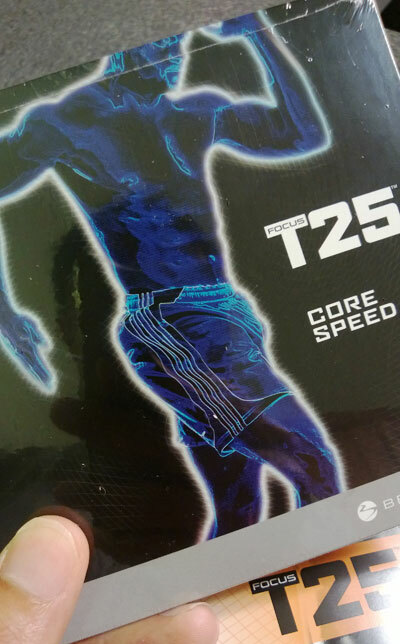 Home > Workouts > T25 > Focus T25 Base Kit Unboxing – What’s Included? 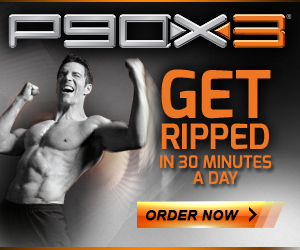 I finished my Insanity/P90X hybrid a few weeks back and I decided to do Focus T25 next. 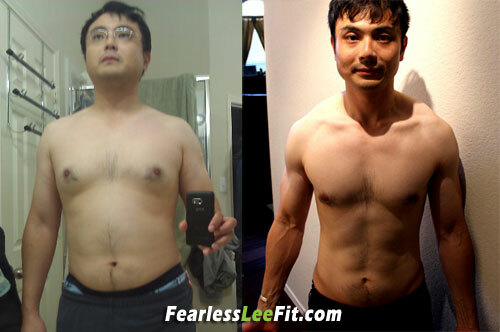 And I just got my Focus T25 last week, right before my trip to Malaysia. I took some pictures during the unboxing to give you an idea what’s included in the Focus T25 base kit. First of all, Focus T25 came in with a T25 branded shipping box which is pretty nice. Upon opening the box, there were a few flyers promoting the Beachbody Challenge and such. 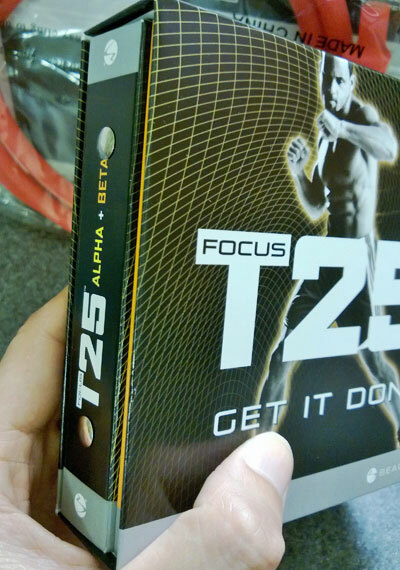 Underneath the flyers lied the star of the package — the Focus T25 DVD sleeve. The same sleeve also contained other important printed materials that come with the program. We’ll get into this here shortly. By the way, somewhere in the mix of the flyers, there was the bonus DVD – Core Speed in a standalone shrink wrap. Core Speed has similar format as the other Focus T25 workouts where the routines are compacted in less than 30 minutes. 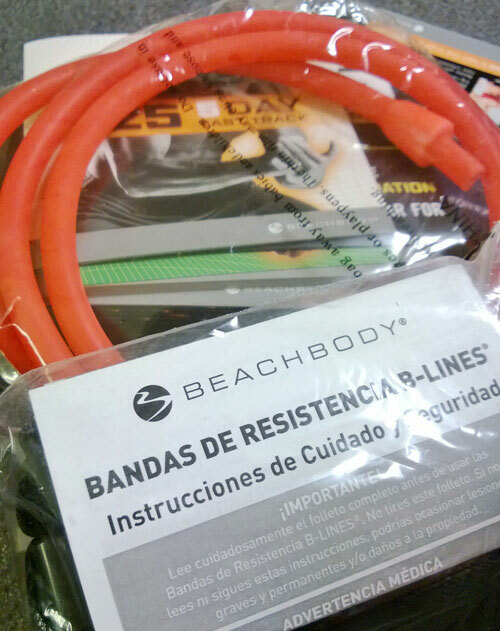 At the bottom of the box was the B-LINES resistance band kit (15 lb). This lightweight pro-grade resistance band is great for burning fat and carving lean muscle faster. These were the main items in the box. I went back and took the DVDs and other materials out of the DVD sleeve. There were a lot more stuff in there! Besides the Alpha and Beta workout DVDs, there was a Quick Start Guide, 5-Day Fast Track, “Get It Done” Nutrition Guide, and the Focus T25 Alpha-Beta workout calendars. You can’t be successful or could end up with serious injury without these materials. Order Focus T25 from me and get FREE personal coaching and the Core Speed bonus DVD. If you order the Base Kit before July 28, you also get FREE shipping. The Focus T25 Challenge Pack is currently on sale for $180. Starting August 2013, the price will go back to $205. Don’t miss this opportunity to save! Through the end of July 2013. A $90 Saving! Plus FREE shipping. Hi, there's no option to not receive the autoship during the purchase. However, if you just want to take advantage of the deal and not receive the subsequent shipment of Shakeology, you can call Beachbody customer service at tel:1800-240-0918. Hi, I noticed that all the options are for autoshipment of more Shakeology. I do NOT want Shakeology to be autoshipped to me, but rather, want the $180 deal whereby I am only provided a one month supply of Shakeology and the t-25 workout. How do I opt out of the autoshipment? Why isn't there a direct number listed for Beach Body?